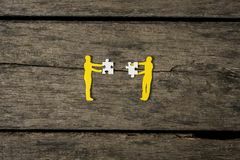 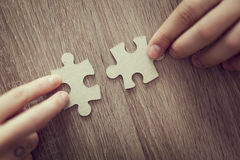 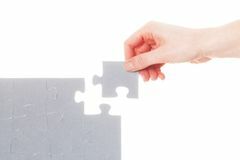 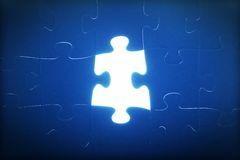 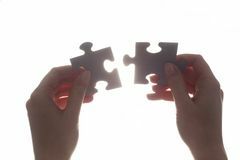 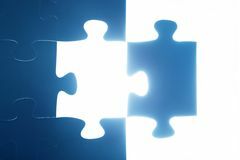 Two men connect two puzzle pieces. 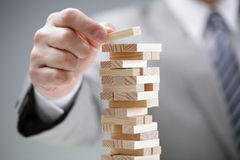 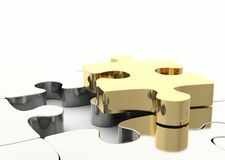 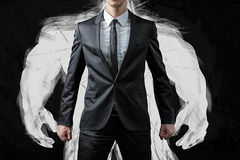 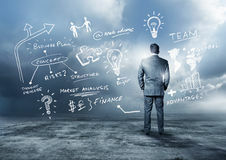 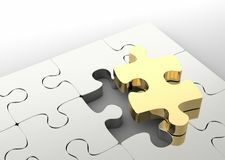 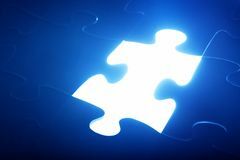 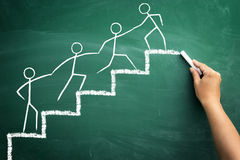 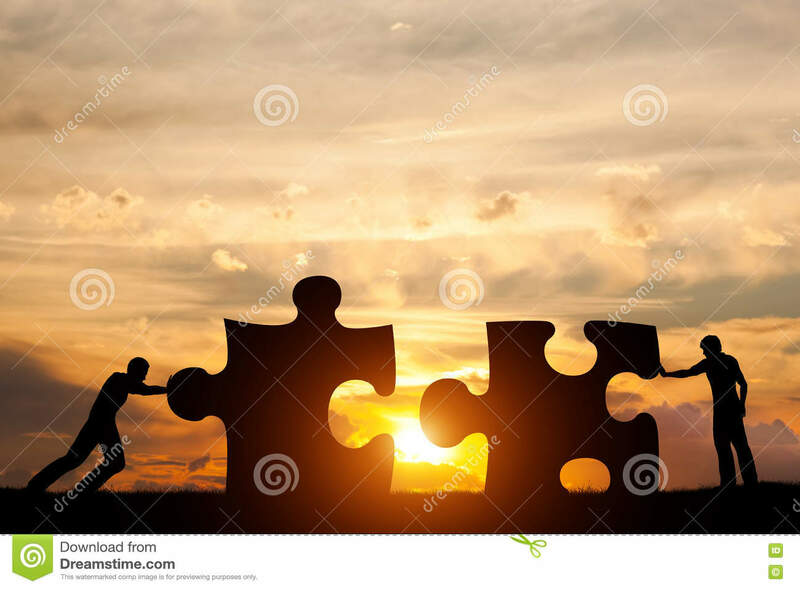 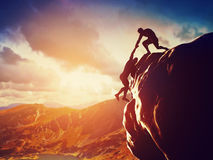 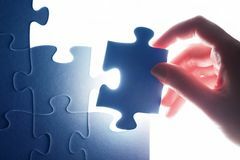 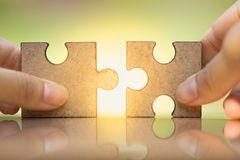 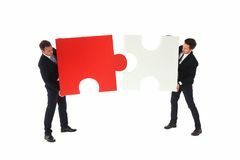 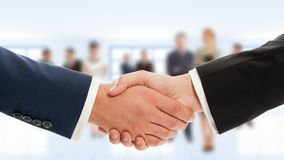 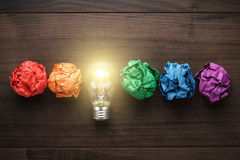 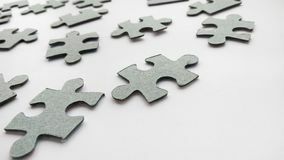 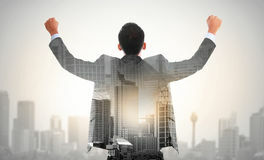 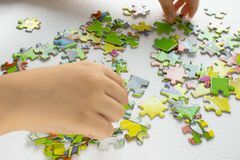 Concept of business solution, solving a problem.Two men connect two puzzle pieces. 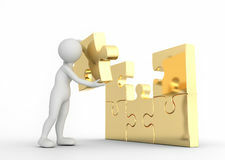 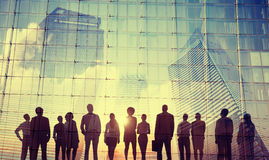 Concept of business solution, solving a problem.